UPDATE 4 — Edinburgh-based investment giant Standard Life Aberdeen plc unveiled a boardroom overhaul on Wednesday as it reported disappointing 2018 results that showed its assets under management and administration fell from £608.1 billion to £551.5 billion. The firm said it has ended its unorthodox and unpopular co-chief executive structure, with Keith Skeoch becoming sole CEO and Martin Gilbert becoming vice chairman of Standard Life Aberdeen and chairman of its investment arm Aberdeen Standard Investments. Gilbert will continue to be an executive director of the board. SLA said: “Recognising the progress made since the merger, with the encouragement of the board, the co-CEOs instigated discussions around the management structure best placed to deliver the strategy agreed by the board. 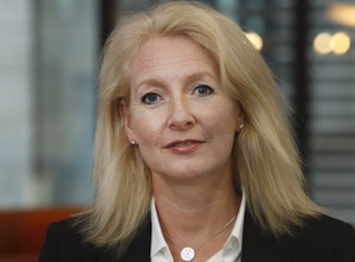 Further, Standard Life Aberdeen said chief financial officer Bill Rattray would step down at the end of May and be succeeded by Stephanie Bruce, a partner at consultant PwC. Bruce’s basic salary will be £525,000, with a maximum bonus of 350% of salary — and a one-off award of nil-cost options over shares in SLA worth £750,000. Gilbert’s base salary will remain at £600,000 and the maximum percentage of bonus payable to him will be reduced from 600% to 350%. In addition, Richard Mully will retire from the SLA board after the 2019 AGM. SLA chairman Douglas Flint said: “A great deal has been achieved by both Martin and Keith to drive the business forward, and leave us well-placed for the future. “The changes that we have announced today have the unanimous backing of the board. SLA said net outflows from its funds increased year-on-year to £40.9 billion from £32.9 billion the year before. However, profit from continuing operations was broadly flat at £650 million. Gilbert said: “In a tough year of continued change for our industry, we saw further net outflows – equivalent to about 7% of our starting assets. Skeoch said: “We are working hard to deliver what is within our control. “Our integration process is running ahead of schedule and is now roughly 75% complete even though we are less than halfway through the original timetable.